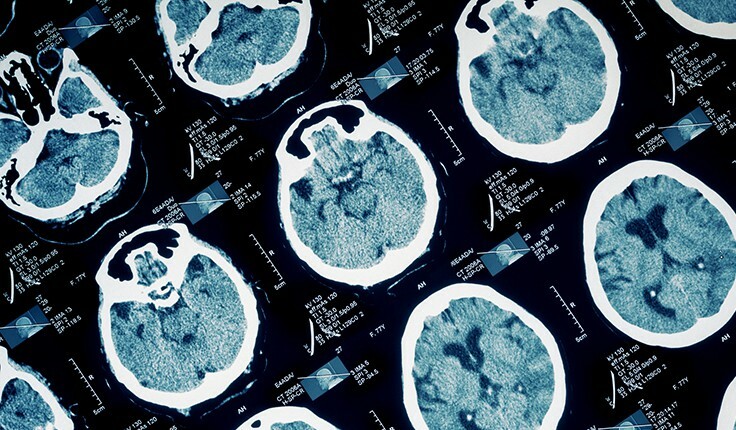 A traumatic brain injury (TBI) can cause a range of short-term and long-term problems. Newborns, children, adults, and seniors who suffer a TBI or concussion can deal with dizziness, headaches, changes in mood, and other immediate symptoms. In severe cases, victims can lose the ability to speak, endure learning and developmental disabilities, nerve damage, memory problems, depression, agitation, a loss of coordination, seizures, compromised organ function, and a range of other physical and emotional problems. In certain cases, the patient can even fall into a coma or die. At Harris Lowry Manton LLP, our Atlanta traumatic brain injury attorneys have the experience and skills to help you get legal justice. We work with neurologists, physical therapists, and other medical professionals to get a full analysis of your medical diagnosis and prognosis. Our lawyers recommend settlements only when the insurance companies make offers that compensate the victim fully for all medical expenses, lost income, and pain and suffering, and potentially more. We try cases in state and federal courts before juries and have obtained many multi-million-dollar personal injury verdicts and settlements. Vehicle accidents. Passengers and drivers in trucks and cars are often thrown around the vehicles, strike the dashboard or sides of the vehicles, or hit other passengers. The head and skull can easily be jostled about or suffer a direct blow. Anyone in a vehicle accident should immediately see a family physician or emergency care doctor so a proper and timely evaluation can be made. Motorcycles and bicycle crashes. In motorcycle and bicycle cases, victims almost always come into direct contact with the road. Even riders with helmets who strike the ground headfirst are likely to experience some type of TBI. Birth injuries. Traumatic brain injuries can occur during the delivery process. This is especially true if the obstetrician or doctor has to manipulate the head with their hands or forceps to help deliver the baby. TBIs during deliveries can also happen if the baby is suffering from any fetal distress, such as losing oxygen to the brain. Medical malpractice. Physicians and staff should constantly monitor for any possibility of oxygen loss to the brain, the heart, and other vital organs. Even a few seconds’ loss of oxygen to the brain can cause a lifetime of suffering and brain impairment. Slips, trips, and falls. Anyone who slips due to liquids that haven’t been cleaned up, trips on inventory or equipment left on the floor, or falls because of torn carpets, unsecured stairways, or negligent security can suffer a blow to the head. Our Atlanta traumatic brain injury lawyers bring claims against everyone who may have played a part in the TBI. This includes vehicle drivers and owners; doctors, hospitals, and surgery staffs; property owners and homeowners; and sports teams and schools that fail to protect their players. A cerebral contusion. A cerebral contusion is the bleeding or brusing of the brain due to a blow to the head. Coup-contrecoup concussion. This type of TBI causes damage to the part of the brain where the impact occurred and a second part where the brain moved to because the impact forced the brain or skull to move. Diffuse axonal injuries. These types of TBIs happen when the head is shaken or rotated, such as due to shaken baby syndrome or a vehicle accident where the victim’s head can be thrust about numerous times. Victims of this type of TBI can suffer permanent loss of function. Penetration TBI. This kind of TBI is due to a direct trauma to the brain. Direct trauma can be due to violent force of any type, such as a vehicle accident or a bullet. TBIs usually affect the skull as well as the brain. Bleeding in the brain is especially serious. If not treated properly, it can cause death. At HLM, our Atlanta TBI lawyers understand how scary a TBI can be for you or a loved one. We work with the victims and families to determine exactly why the traumatic injury happened, who is responsible, and what could have been done to prevent it. For answers to your questions and immediate help, please phone our Atlanta office at 404-998-8847 or our Savannah office at 912-417-3774. You can also complete our contact form. Your first consultation is free.